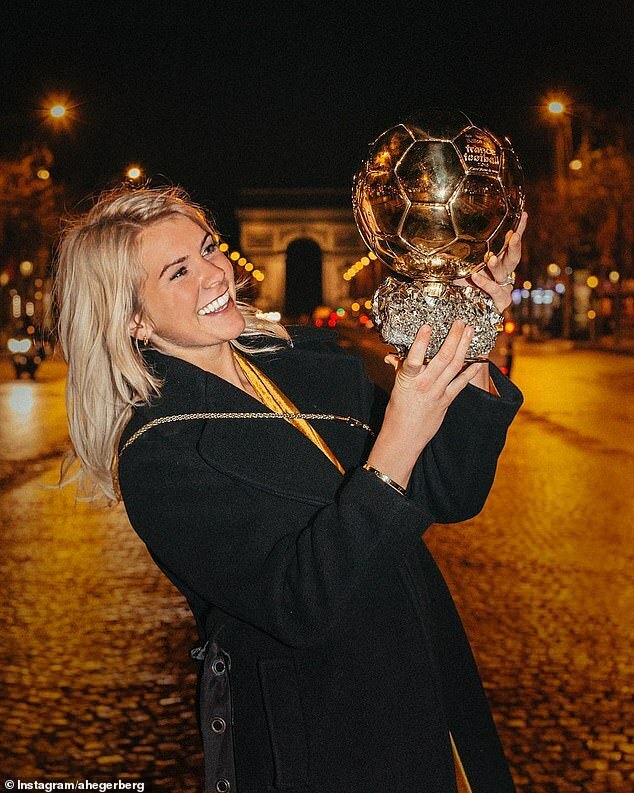 The co-host of the Ballon d'Or award ceremony has apologised after leaving the audience stunned when he asked the winner of the women's award, Ada Hegerberg, if she knew how to twerk at the event in Paris. The 23-year-old Lyon striker was announced as the first ever winner of the women's Ballon d'Or, which recognises the world's best player, by former France international David Ginola and gave an empowering speech to encourage more girls to play football. 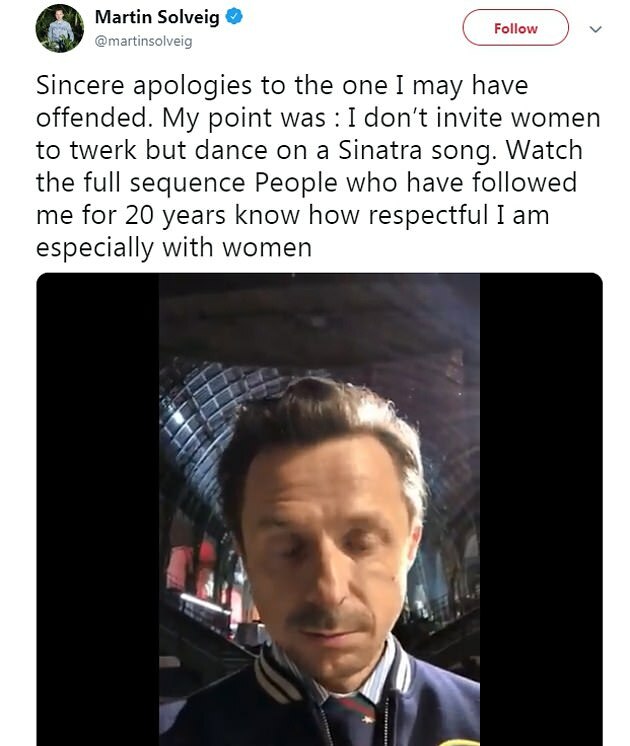 However, as the Norway international was leaving the stage, French DJ and co-host Martin Solveig, who had been playing music during the ceremony and also danced with Hegerberg to Frank Sinatra, asked her if she could twerk. The three-time women's Champions League winner laughed awkwardly as she turned away from the DJ and abruptly said 'no' before walking off. A clip of the exact moment she was asked soon went viral on social media with the reaction of baffled French footballer Kylian Mbappe, also highlighting the surprise at Solveig's question 'Est-ce que tu sais twerk?' - 'Can you twerk?'. Mbappe won the Raymond Kopa Trophy awarded to the best young player. Luka Modric won the main men's award. 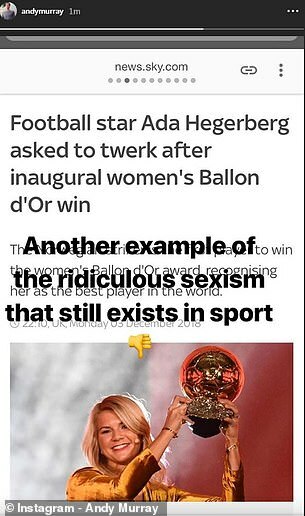 Martin Solveig really asked Ada Hegerberg, the first ever Ballon D'Or winner, to twerk. The absolute disrespect bruh. Accompanied by a video apologising further to Hegerberg, Solveig wrote on Twitter: 'Sincere apologies to the one I may have offended. 'My point was: I don't invite women to twerk but dance on a Sinatra song. Watch the full sequence. She was quoted on skysports.com saying: 'He came to me afterwards and was really sad that it went that way. I didn't really think about it at the time to be honest. But the incident drew a slew of criticism. 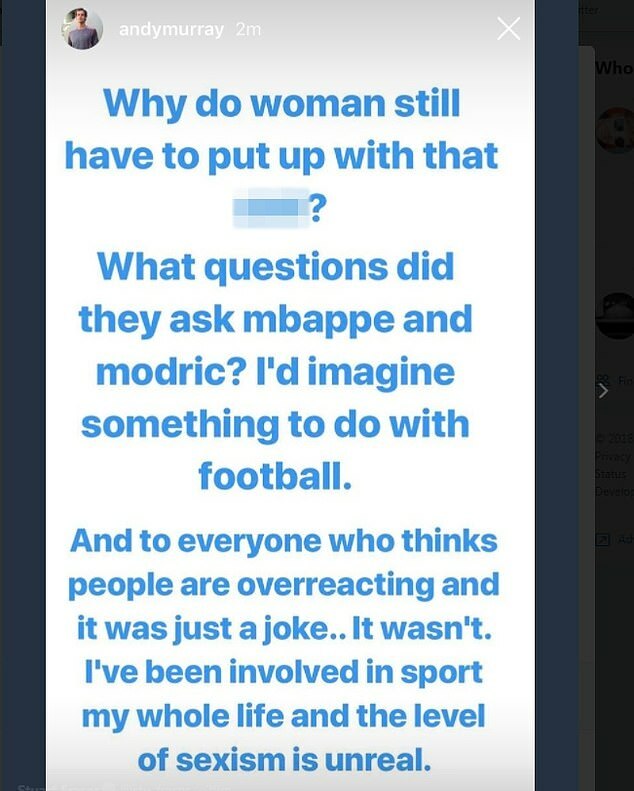 Tennis star Andy Murray spoke out against the 'twerk' comments on his Instagram story describing it as 'another example of the ridiculous sexism that still exists in sport'. An unimpressed Murray wrote: 'Why do women still have to put up with that s***? 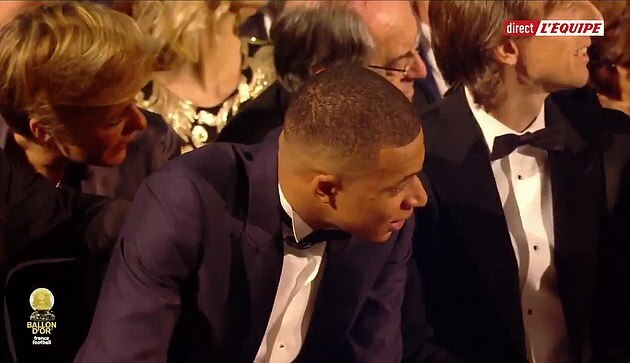 What questions did they ask Mbappe and Modric. 'I'd imagine it had something to do with football. And to everyone who thinks people are overreacting and it was just a joke… It wasn't. Lyon striker Ada Hegerberg, first female Ballon D'Or winner after scoring over 250 career goals at the age 23, asked to twerk on stage in front of footballing giants and the public watching. Disgusting and really ruined her moment she deserved. Poor. Juventus and England footballer Eni Aluko was also angered by Solveig's 'pathetic' apology as she criticised the offence he caused. She wrote: 'Pathetic apology. Everyone who has an ounce of decency and respect for women is offended you k***'. It was a significant moment for the women's game and viewers were left angry that the moment was spoiled by Solveig and host David Ginola as they asked if she wanted to perform the provocative dance move. She swiftly replied 'no' before returning to the award and paying thanks to those who helped her throughout the season. 'The DJ asked each person that won what their dance was but she can twerk, she was lying. It was more of a joke of making her dance,' Bronze told BBC Sport. Historic, being the first women's Ballon d'Or award. I’m absolutely speechless. @AdaStolsmo made the history books. Hegerberg said in her speech after accepting the award: 'It is fantastic. I don't have words. This is unbelievable. It's a big moment for me. Twitter users also condemned Solveig's behaviour. Her sister Andrine, who plays for Paris Saint-Germain, was left 'absolutely speechless' at her sister's achievements. 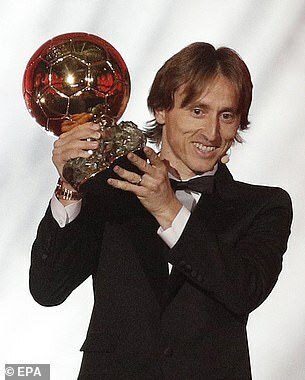 Luka Modric ended the long reign of Lionel Messi and Cristiano Ronaldo by winning the Ballon d'Or for the first time on Monday. Messi and Ronaldo had won every Ballon d'Or since 2008, and usually fought only each other for the greatest recognition among soccer's elite. 'They deserve it because of what they did with the national team at the World Cup and also because of the trophies they won with their clubs,' Deschamps said. The 19-year-old Mbappe - the youngest player to score in a World Cup final - won the Raymond Kopa Trophy awarded to the best young player.